Here is the photo gallery of Fast4 winners and finalists. USTA Southern hosted four championships in an exciting, new format: Fast4! There were two championships on hard courts and two on clay courts, both including 18 & Over and 50 & Over players. Click on the tournament links below to see who got their hands on the "golden ticket" to the nationals. 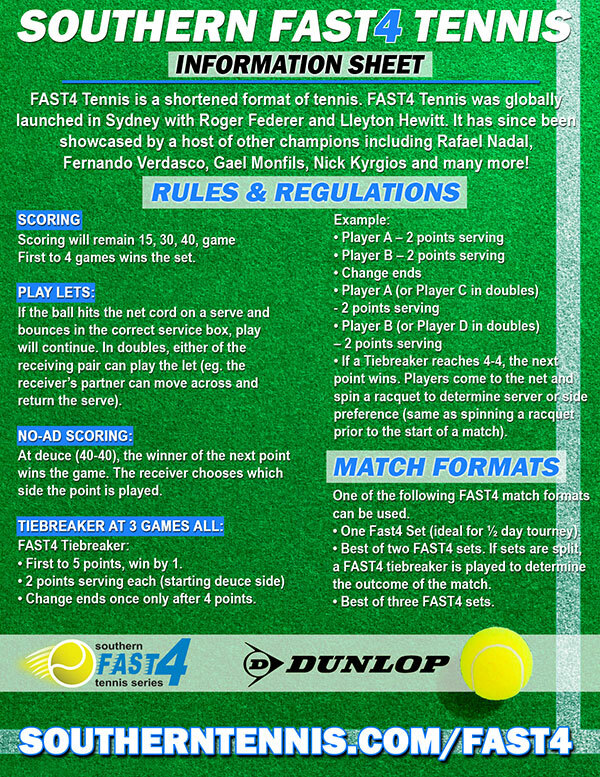 Click here for our list of upcoming Fast4 Series tournaments. NTRP 3.0-4.5, MW singles and doubles in 18 & Over and 50 & Over divisions, 300 STA. Atlanta tournament will include 18 & Over 5.0. Click here for more information on the national championships.